I am so excited to be heading out to an adventure this week at Missouri Star Quilt Co! I’ll be teaching a retreat there this week with Jenny Doan! I’m thrilled to be a part of it! For my portion of the retreat I’m teaching three projects made up with Vintage Keepsakes. These are projects I’ve shared here before but I had a blast making them up in my newest fabric line. 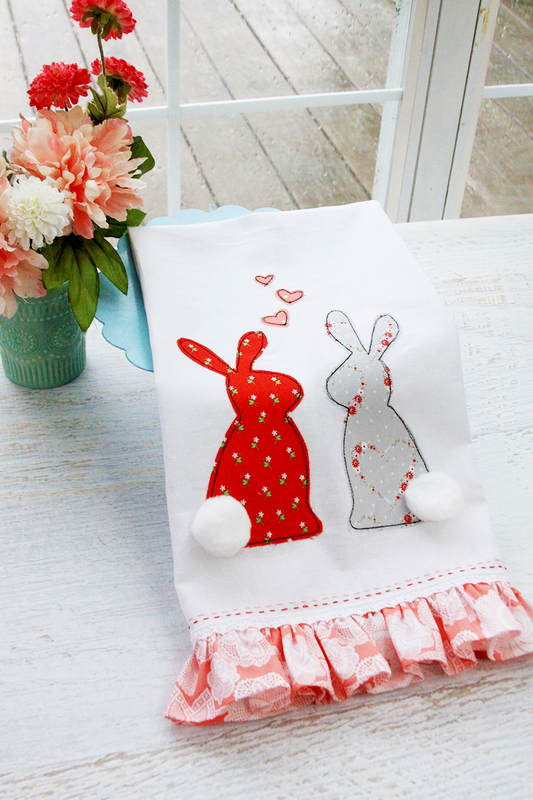 The first project is the Bunnies in Love Dishtowel! I made it up so in the gray, red and pink prints. I think it’s so fun in these colors! With these colors I think it would be darling to put up now for Valentine’s Day and then leave up through Easter! Also – fluffy little bunny tails are my favorite! 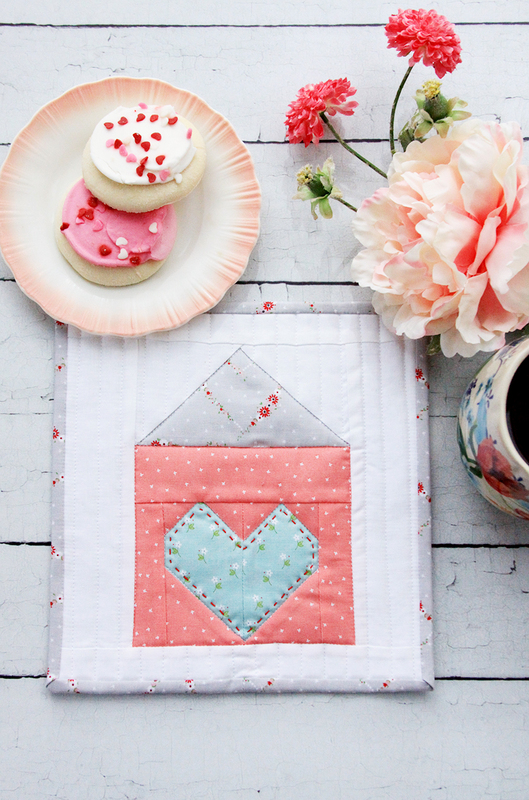 We’re also making up a Vintage Keepsakes version of the Heart and Home Mug Rug! It’s so Springy in these colors don’t you think? I love making these little mug rugs up for gifts! They’re so sweet paired with a box or tea or some treats. 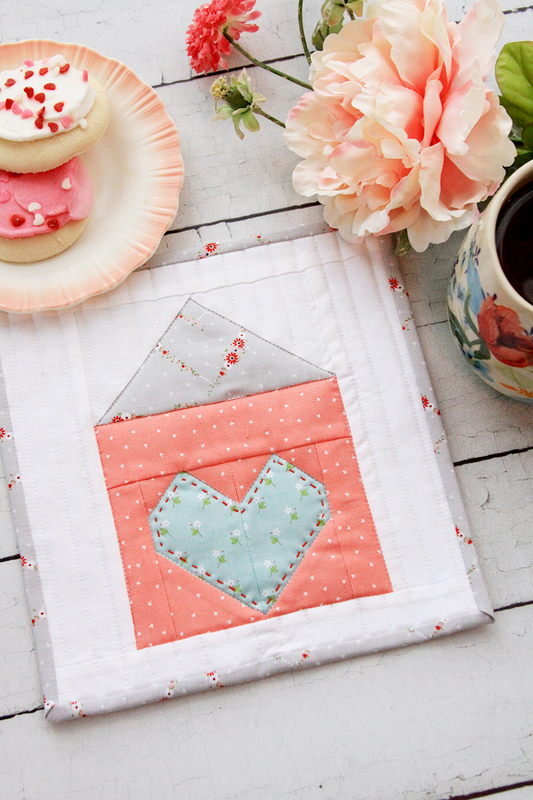 The last project I’ll be teaching is the Corner Dresdens Mini Quilt! The first time I made this I used Amy Smart’s Gingham Girls and it was so fun to make it up in a different color scheme! I love seeing how patterns change with different fabrics. This one is so fun to sew up because the dresdens are super quick and easy! I had fun fussy cutting the Handkerchief print in Vintage Keepsakes for the corners of the dresdens on this one! As part of the week I’ll also be joining in with Misty Doan for the Live at MSQC Facebook page!! They’re having it on Wednesday so I can join in – which is so kind!! 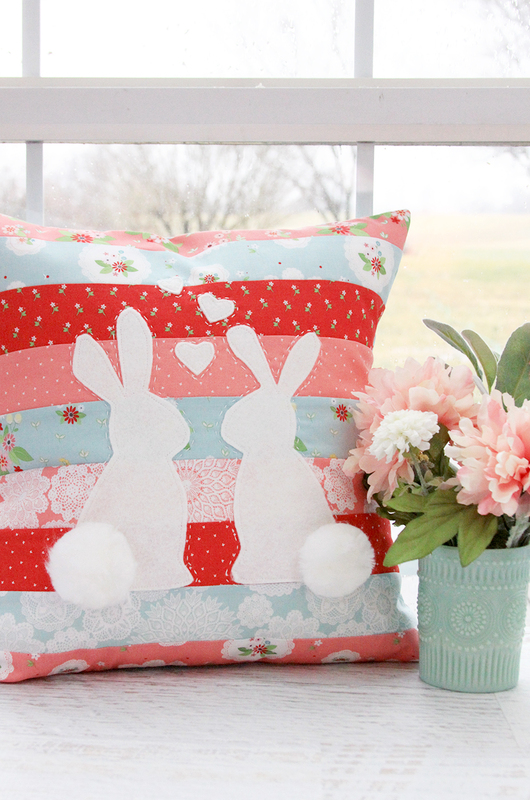 I’ll be showing how to make this Bunnies in Love Pillow – I would love for you to tune in! More fluffy bunnies!! 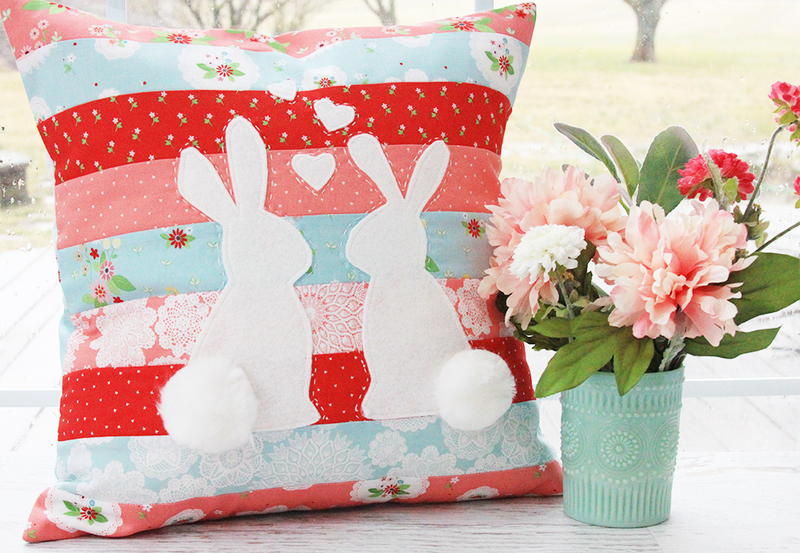 I think this version of the pillow is perfect for Spring! I’d love for you to follow along with me on Instagram or Facebook – I’ll be sharing photos of the retreat and all our adventures!! And if you have any questions about things in Hamilton at Missouri Star, let me know! They are so adorable! Thanks for sharing. Love those bunnies! Thanks for sharing. Your color selection is yummy! Love those bunnies! I sooo wanted to go to this retreat because Jenny was going to be there but now I’m even more disappointed. 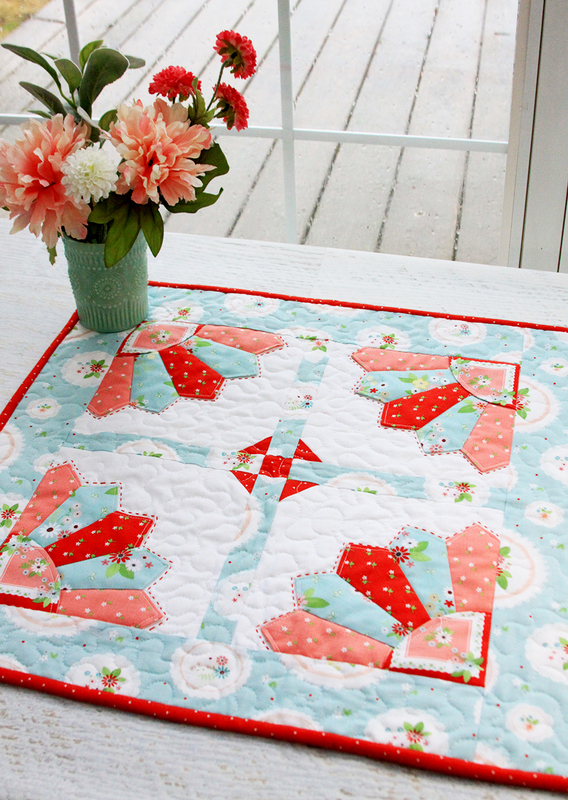 I attended the Glamper retreat last year and loved getting to sew with you and your new line. My friend Jayne will be there. Enjoy! I attended the Wild Wild West Retreat in November of 2014 and 2015! It was a great time! I’m jealous but know you will enjoy the time to sew, teach, shop and have fun! 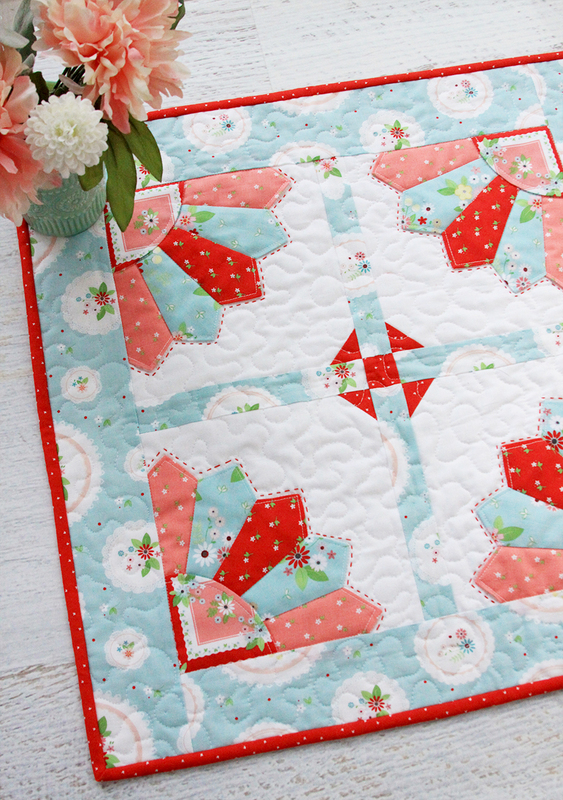 Your projects are always cute! I hope to be able to make a pillow or towel this year-heck, maybe both! Thanks for sharing. looking forward to the tutorial! Am having a great time here at the retreat with you, Cindy, Sue, Jenny, Molly, Sam and all the girls here Quilting. What a wonderful place! Sweet people, great products, wonderful classes and always a laught. Love the projects we made. Can’t wait to do the quilt. Thanks for a wonderful time. So glad i got the chance to meet you. Safe trip home. Love the patterns and fabrics ! 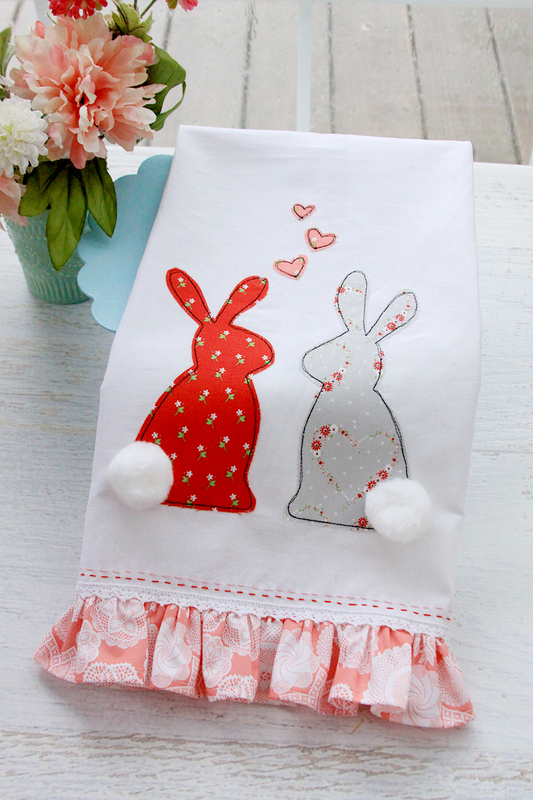 Loved the Bunnies in Love towel video! Jenny always makes things look fun and I love how she laughs even if she makes a little mistake-I wish I wasn’t so serious when I make things. I love Dresden plate fans but never made a mini so that is calling my name as well as the heart in an envelope!!! Wonderful designs. I love how you add a little bit of hand stitching to your projects. To me it gives them that little bit of something extra.